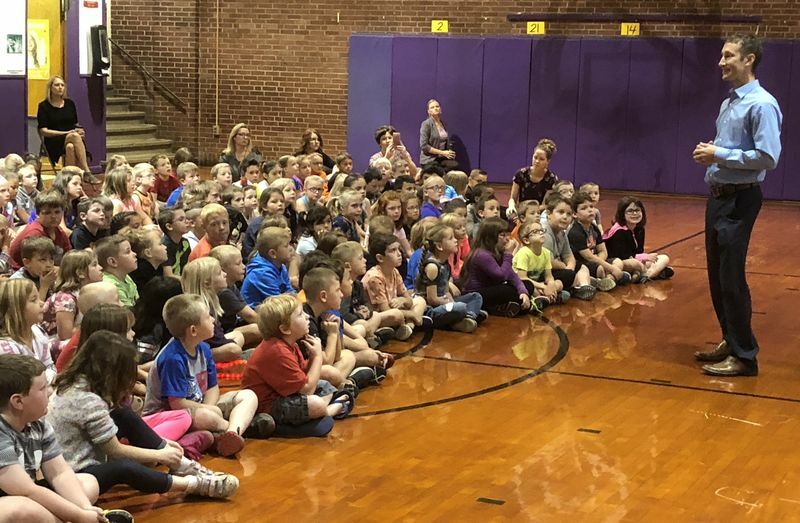 Shelbyville Main Street School & Kindergarten Center is completely invested in the Social & Emotional Development of our youth w/ equal value to academic. The two areas are interrelated and often the Social/Emotional hinders or serves as a catalyst to student achievement. The point is that self-regulating emotions or recognizing feelings & perspectives of others has as much, if not more, effect on achievement than a few more multiplication facts in a minute correct. 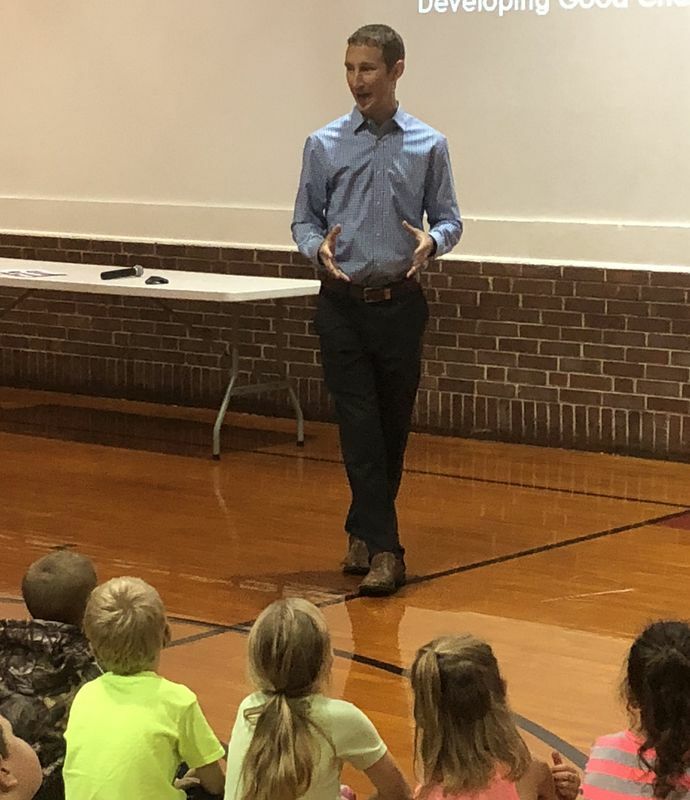 Local Community-Leader, Jake Hankins, addressed students on Monday, October 1st to “kick-off” October w/ the hyper-Focus on “OWNESRSHIP.” Jake Hankins is a local business owner with Country Financial & he is also a current active Shelbyville Schools School Board Member. Mr. Hankins shared a personal example regarding procrastination & developing more OWNERSHIP in early elementary school into his current life as a business owner, husband & father. He also prompted reflection as students analyzed examples.